I cannot help but tie together the big idea of today’s passage with the biggest news item that is predicted to gain great attention on this date. That item is the release of a document that will allegedly demonstrate that high powers of authority in the country were “weaponized” against a political enemy for political benefit. I certainly do not want to get into any evaluation of the merits of this memo nor the politics that drive both its supporters and its critics. The point is that for whomever, in any time or place, being targeted unjustly by the powers of government and authority would be a terrible thing. How do you defend yourself when the ultimate, highest authorities are set against you? This was becoming the reality for Jesus. Though there had been great crowds and high levels of interest, overall, the nation was not turning toward following him and recognizing him as the Christ. Even for many who did follow him, their level of commitment would evaporate quickly when it became clear that to be a disciple was to be a part of a targeted, hated minority. Here again is another statement made by Jesus that would have, at the time he uttered it, only a fractional amount of impact as reflections upon it at a later date would yield. “Whoever wants to be my disciple must deny themselves and take up their cross daily and follow me.” The figurative nature of that statement would become terribly literal before very long. There is a cost in following Christ. This has always been true. By the standards of the rest of the world, we have it easy in America, living in what has historically been a Christianized culture. There are followers of Christ who are martyred somewhere in the world every day. That is not an exaggeration. It happens daily. And even here, our faith is becoming a more odious thing to increasing numbers of secularized people. I could name at least two people in our church who lost jobs in the last year because of their faith. That was not the reason given, of course; but being a bold witness was at the heart of the matter. The passage today shares several stories of people who said they wanted to follow Christ, but they had some matter that had to be taken care of first. Jesus rightly recognized that the hearts of these marginal followers were not fully devoted. The illustration at the end is colorful – about putting the hand to the plow and not looking back. My grandfather grew up on a farm in the early 1900s and regularly plowed with teams of horses. I asked him one time about this verse. He told me that it was a disaster to look back at all. 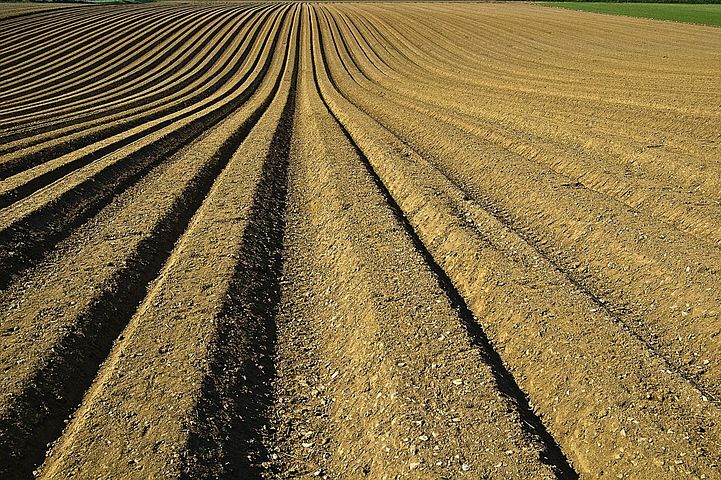 To make a straight furrow, you had to fix your eyes on a point in the distance. If you looked down too much or looked back, it would appear that a giant snake had plowed the field. Additionally, unless you were focused upon the task in front of you with your entire concentration, you never knew when the blade would hit a rock and pop up out the ground – whacking you on the chin. The application is obvious. To be a true follower, it takes regular commitment that does not care about the negative fallout and even the persecution from others. Disdain for your faith is normal. This is not to be unexpected in a world under the control of the evil one. Opposition and persecution are par. But the ultimate rewards are worth it. So don’t be a half-hearted follower of Christ. Luke 9:23 – Then he said to them all: “Whoever wants to be my disciple must deny themselves and take up their cross daily and follow me. 24 For whoever wants to save their life will lose it, but whoever loses their life for me will save it. 25 What good is it for someone to gain the whole world, and yet lose or forfeit their very self? 26 Whoever is ashamed of me and my words, the Son of Man will be ashamed of them when he comes in his glory and in the glory of the Father and of the holy angels. Luke 9:51 – As the time approached for him to be taken up to heaven, Jesus resolutely set out for Jerusalem. 52 And he sent messengers on ahead, who went into a Samaritan village to get things ready for him; 53 but the people there did not welcome him, because he was heading for Jerusalem. 54 When the disciples James and John saw this, they asked, “Lord, do you want us to call fire down from heaven to destroy them?” 55 But Jesus turned and rebuked them. 56 Then he and his disciples went to another village. This entry was posted in Footsteps and tagged Luke 9:23-27, Luke 9:51-62 by Randy Buchman. Bookmark the permalink.